In this two-minute video, Trevor Bryan, author of The Art of Comprehension, demonstrates how an illustration from Peter H. Reynolds’ book, The Dot can help students to practice finding and using text evidence to make inferences, think about themes and big ideas, make strong-link connections and think about symbolism. 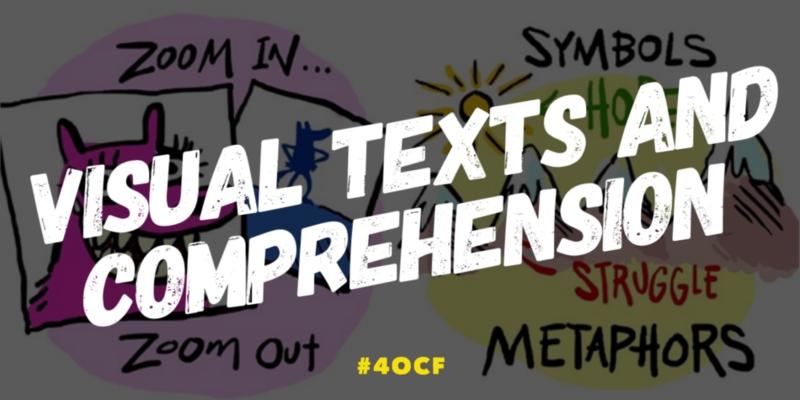 One of the advantages to using visual texts to help students engage with visual texts is that they allow all learners, strivers and non-readers included, to join the classroom conversation and become a more active member of the learning community. The Access Lenses that are shown in the video are free at theartofcomprehension.com. Trevor’s book, in which he discusses using visual texts to foster comprehension and writing skills is available for preorder here.